HAY’s Dock Cafe Restaurant in Lerwick has closed with the loss of five jobs after facing “very challenging trading conditions”. The loss-making restaurant opened in the Shetland Museum and Archives in 2007 through Hay’s Dock Cafe Restaurant Ltd, a wholly owned subsidiary of Shetland Amenity Trust. The trust said on Saturday that it is “considering all the options available to ensure that visitors to the Shetland Museum and Archives have access to refreshments during their visits”. “Until new arrangements can be put in place, visitors will be advised of the cafe facilities available at Mareel, a short walk away, and other premises in Lerwick,” it added in a press statement. 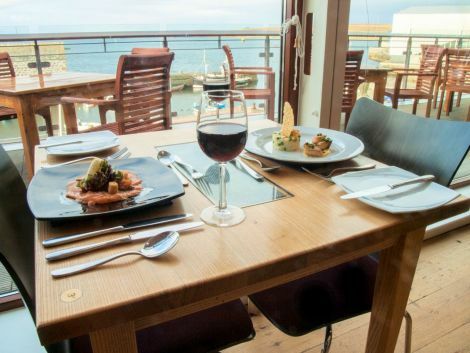 Five staff at the restaurant are to be made redundant, with no employees of Shetland Amenity Trust affected.